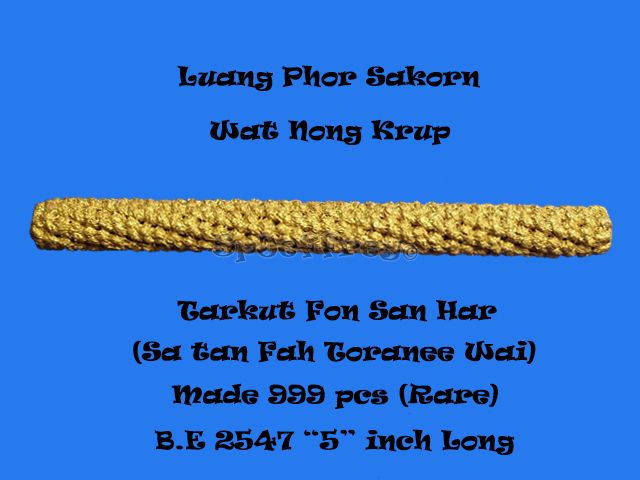 Luang Phor Sakorn named this batch of tarkut, Fon San Har, as it is made very little and considered very rare. Fon San Har means a storm so crazy that it shakes the land too. As it took alot of strength and energy to consecrate such long tarkut, very little was made and it is consider very rare even in thai amulet market as no one is willing to let it out. Weaved and coated with jindamanee powder makes it an excellent all rounder tarkut to be placed at home or even at your workplace. 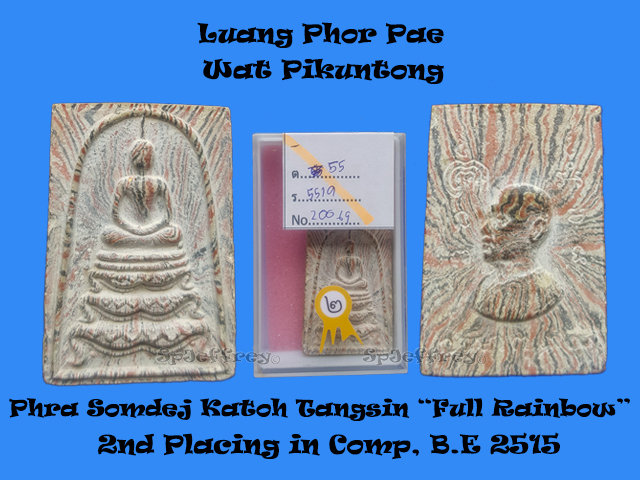 Luang Phor Sakorn is the direct disciple of the Luang Pu Tim, Wat Lanhanrai which Luang Phor Tim once said it before that Luang Phor Sakorn had acquired the skills needed and is worthy of making amulets. 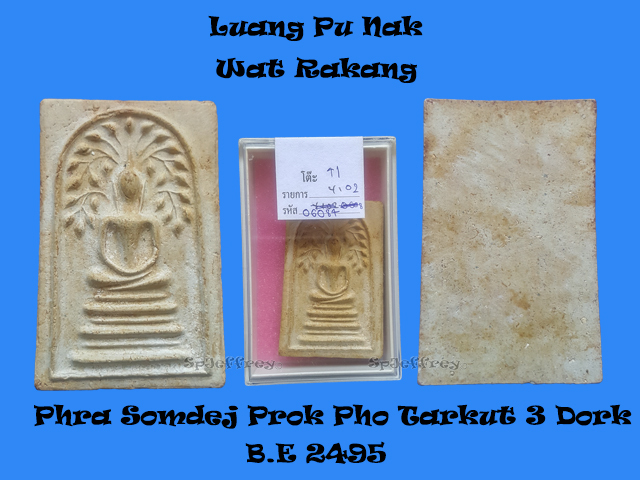 This piece of tarkut have been featured in Luang Phor Sakorn book and clearly stated 999 pcs made only. A beautiful piece of Somdej made by late Luang Pu Nak of Wat Rakang. Luang Pu Nak followed the procedures exactly as laid down by Somdej Phrra Buddhacharn Toh as known as Ajarn Toh to create his own Somdej. As knowledge is passed down from generation to generation, Luang Pu studied the old texts and manuscirpts from Ajarn Toh and was known as disciple of Ajarn Toh even he was not born in the era. As Ajarn Toh Somdej fakes flood all over Thailand, it is an great alternative to own Luang Pu Nak Somdej as it is still affordable as compared to an genuine Ajarn Toh Somdej which can cost Millions of SGD. 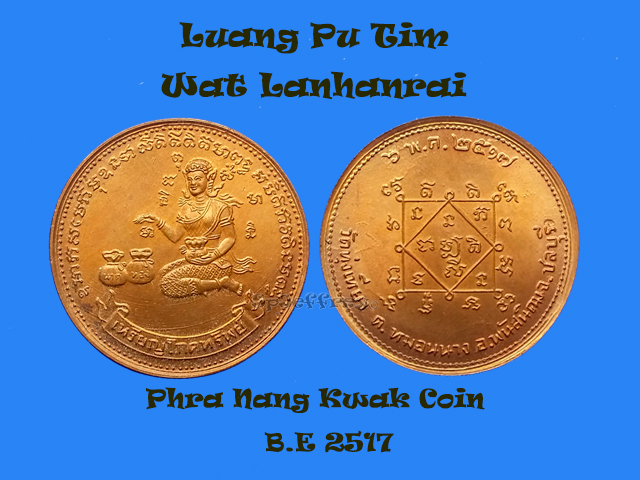 This piece of coin have made itself to Luang Pu Tim's thick book which phim have been featured in the book have been chanted by Luang Pu himself. Nang Kwak is known to bring good business and great wealth to owner. Great piece to won as it have been chanted by Luang Pu Tim himself and an excellent piece for business man or people who is in the sales line. 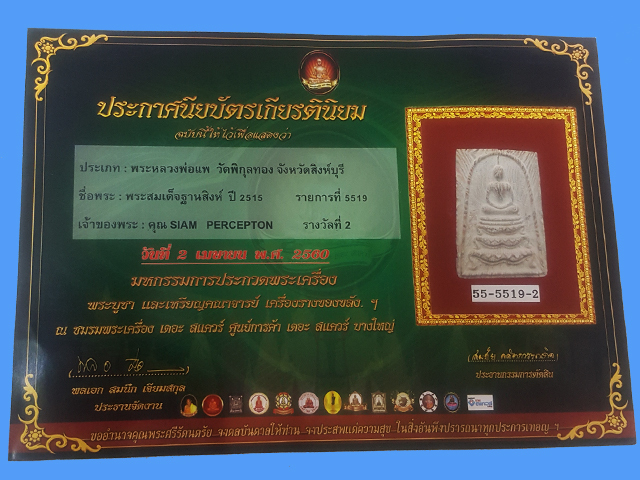 This is the good time to collect Luang Pu Tim's amulet that have not been mark up before Thai market started frying it up, it will be another dream piece that one would wanna get which the price hit sky rocket. * The triplet lens design combined with 3 elements produces a high chromatic correction. Recommended for mineral appraisals. * The achromatic lens, with the lens with a different refraction rate added, produces a field of view with little color blots. 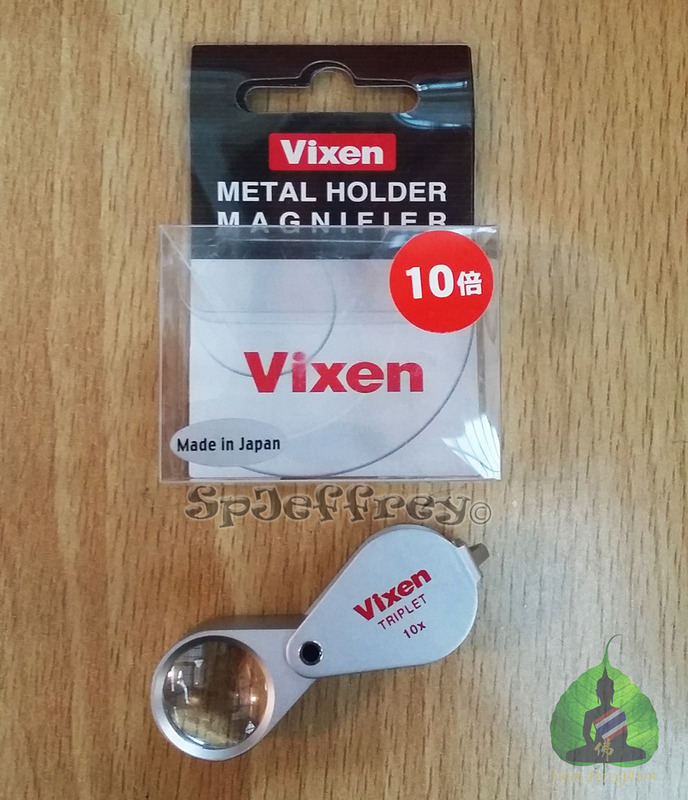 Vixen is founded in 1949 as the integrated manufacturer of optical devices like astronomical telescopes, binoculars, and microscopes. Vixen is also the first to release an astronomical telescope with automatic go-to system. This makes also makes them to have a state of the art technology for making astronomical telescopes which applies to binoculars and microscopes. The company produce wide range of quality lens product which will not lose to camera lens but the direction they are going is different which makes them unique in their own business line. This brand is no stranger to Japan as it was made and built there. It was well known that Japan brand camera lens highly sought because of its quality and it goes the same with loupe too. Below is the link provided to have a look at the company established website. 1. It protect your eyes as cheap lens will damage your eyes in the long run. 2. It prolong your time using the loupe without having a sore eyes or headache. 3. Better lens provide a better and clearer view to the amulet we are looking at. 5. Invest something good and it will last you a life time. 10x will be recommended for all types of amulet viewing instead of 14x as some people might not get use to 14X and get giddiness after viewing. 6.Learn to protect your eyes with a better lens and a way to learn more about amulets collection and authenticating them. But not everyone is able to place a bucha at their workplace, therefore wearing a Roop Lor is another option and you can bring it wherever you go, especially those that works in the sales line an requires running around the whole country without a proper work desk. Mass chanted in Wat Bangklang and comes with original temple box, it is an excellent piece to wear it for wealth, fortune, luck and success in business that you do. A champion condition piece that can see visible gold fakes around the Phra Somdej makes it a stunning piece to wear and to collect. 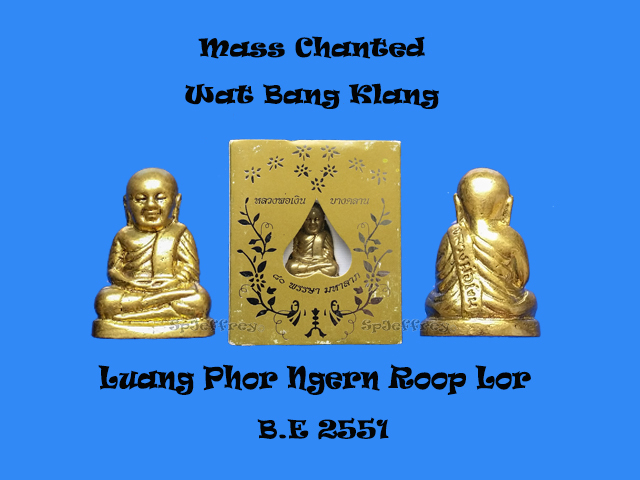 Roon 1 that chanted by Luang Phor Sod himself have already reached sky rocketed price and even Roon 3 might not be affordable to many people or I shall say willing to spend this amount for an amulet. As fakes flooded the market, one of the alternatives is to wear newer amulet that had mixed with older powder as it has been through mass chanting during a big ceremony. Roon 6 is a good alternative batch to wear and even to collect for some and market demands for Wat Paknam Somdej is quite high as the temple do not have any Roon 7 left for worshipers that visit the temple. Excellent piece for all-rounder purpose, a size great for kids and woman too as it is not too big as well. Phra Somdej is known to bless worshipers with general protection, smoothen one person’s life, helping to clear obstacle in life, metta and even wealth. Comes with 1st prizing certificate, making it worth collection and even for wearing as you know you are wearing a champion condition amulet. By looking at beautiful amulet will lighten one person mind and soul too then looking at an badly condition amulet that makes you don’t feel like wearing it or show it to others even there is high value in it. Other than Luang Phor Pae's Phra Somdej Pae Pan and Phra Somdej "Jackie Chan", Phra Somdej Katoh is also another batch that is highly wanted by collectors as this batch is created after Luang Phor pae came back from Sri Lanka in 1972. Mixed with many old powder and Luang Phor famous pollen powder. Awarded 2nd placing in competition due to its mint condition which the powdery powder is it intact on the Phra Somdej. 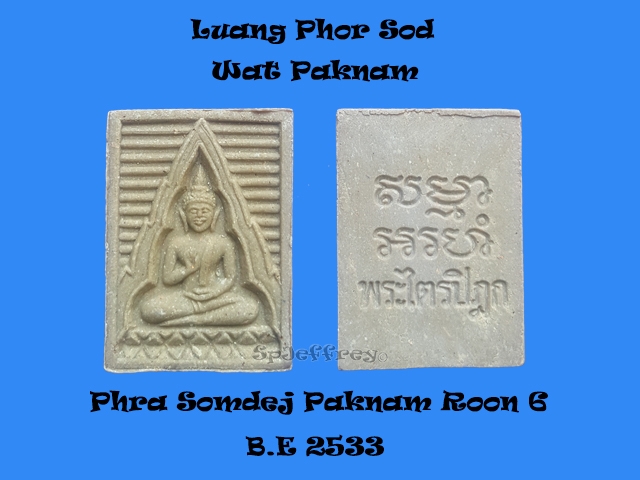 Luang Phor Pae's Somdej is well known to bestows believers with great metta, great wealth, protection etc which is also known as an all rounder amulet. 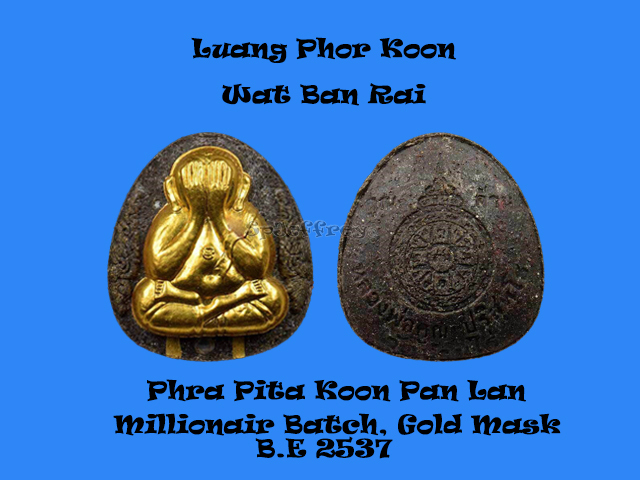 Due to the high demand in market, many fakes and remakes have been created to cater to the demand as many have experience Luang Phor Pae's miracle, hence of the high demand in the market. 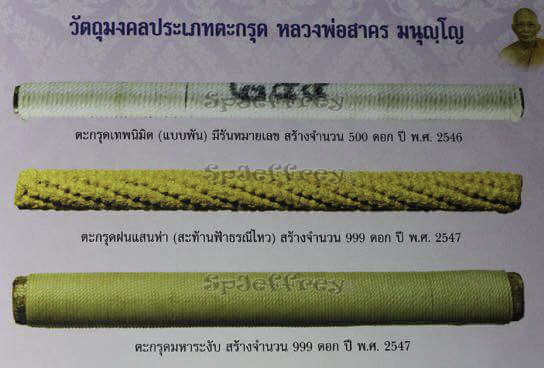 Phra Pita made 20 years ago at an affordable price with 2 tarkut inserted is definitely a good deal! Made of holy powder and hair of Luang Phor, finger of ther Phra pita can be beautifully seen and the head of the Phra Pita is also beautifully made with details. Excellent piece for all walks of life and even kids due to its small size. Phra Pita not only bless wearer with protection but also with wealth. Limited made - Serial numbered. 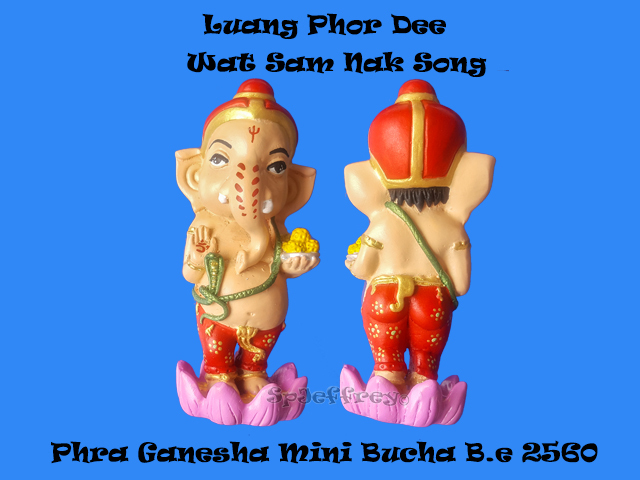 Phra Pikanet is also known as Lord Ganesha as believer pray for overcoming coming of obstacles in life as he is also known as the destroyer of evils and obstacles. Phra Pikanet is also excellent for securing good fortune and strong protection from harm and danger. Big head - Think big. Large ears - Listen more. Weapon - To cut off all bonds of attachment. Rope - To pull you nearer to the highest goal. Small mouth - Talk less. On tusk - Retain good and throw away the bad. Blessing hand - Bless and protects one spiritual path to supreme. Trunk - High efficiency and adaptability. Large stomach - Peacefully digest all good and bad in life. Madaka - Rewards of sadhana. Prasada - The whole world is at your feet and for your asking. Mouse - Desire, unless under control, can cause havoc. You ride the desire and keep it under control and don't allow it to take you for a ride.